Language Arts: Louie was stoked to have a week all about the letter "Ll". Of course she thought it would be all about Louie! Instead is about llamas. We did our usual worksheets and videos. She worked on beginning and ending sounds too. 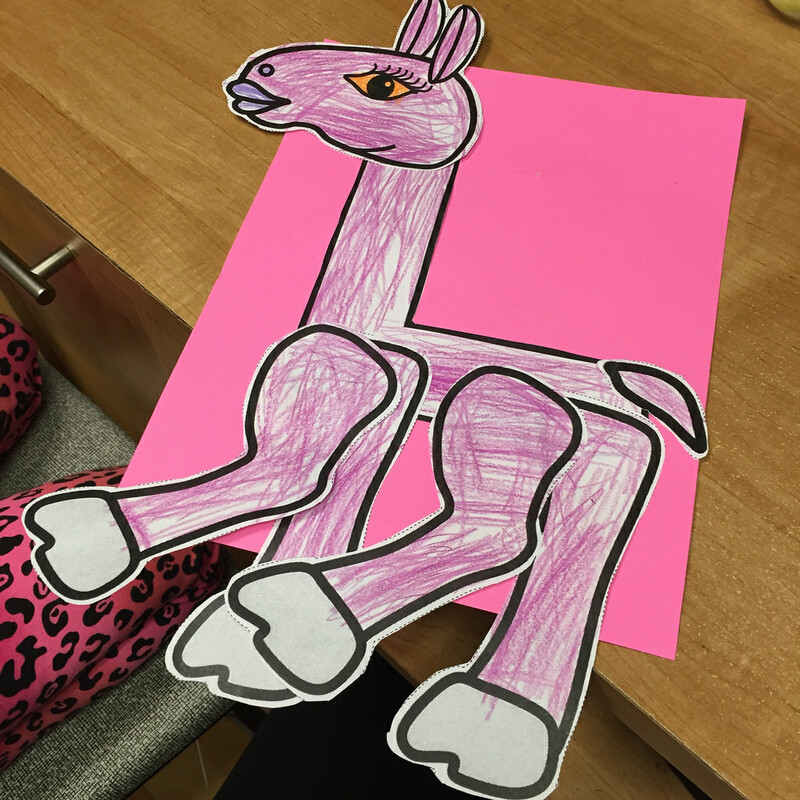 Louie made this cool llama with orange eyes out of the letter L! Reading: We worked on remembering details from a non-fiction piece. Louie's teacher always has some great links to books on youtube. This is such a huge help! We listened to a few stories and we discussed and answered questions about the details of the story. All the stories this week tied into social studies and the first thanksgiving. 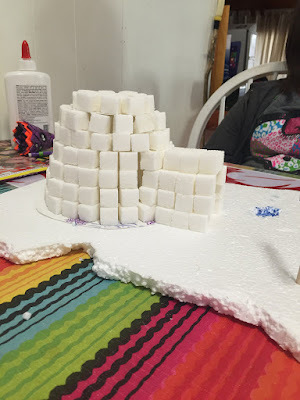 Writing: This week's project was so stinking cute! Louie was given a turkey and her job was to disguise it and write about his disguise. When we started talking about potential disguises I threw out superheros and princesses and she exclaimed that she wanted to disguise her turkey as popcorn. Genius. No one will ever find him. Math: We had a few successful attempts at counting to 30. She is still stumbling over 15 and 16 but she is getting there. We also looked at using shapes to build an object. 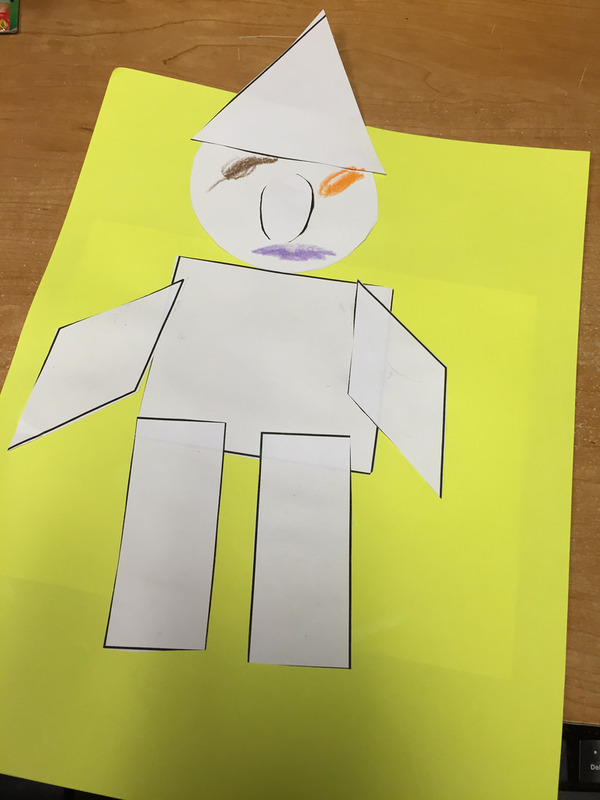 For this assignment Louie had to follow my instructions to build a scarecrow out of shapes. Mission accomplished. 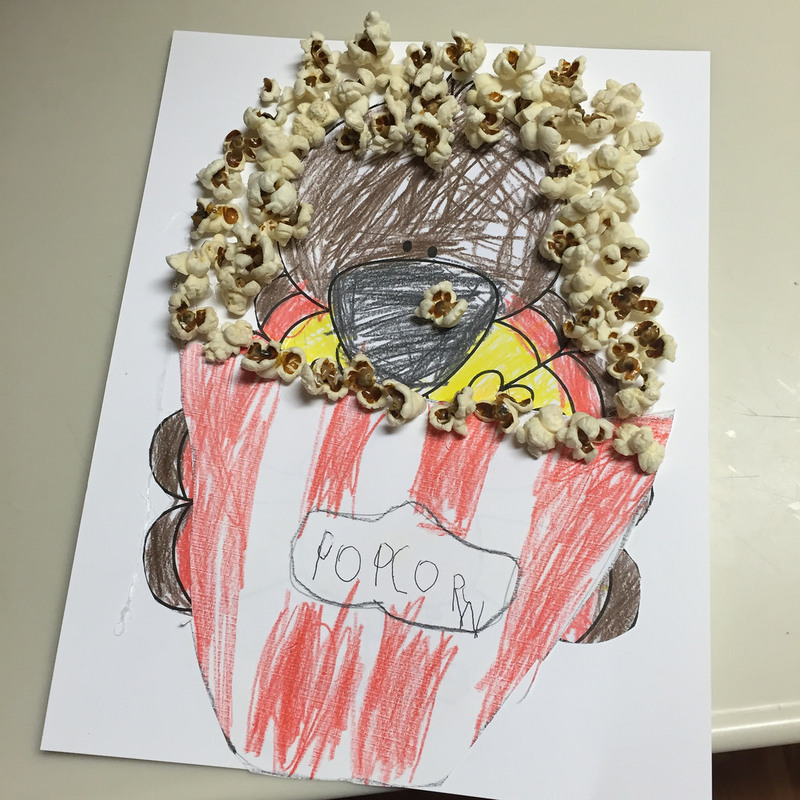 Social Studies: This week we learned all about the first thanksgiving. Did you know that they did not have turkey! Weird. We read some books and then Louie made her own Thanksgiving lap book. She wrote facts about the Pilgrims and Native Americans. She also pasted pictures of food that they had. And yes she used the FSU logo for her Native American facts. She is now a big fan. Go Noles. Science: We continued our study about animals. 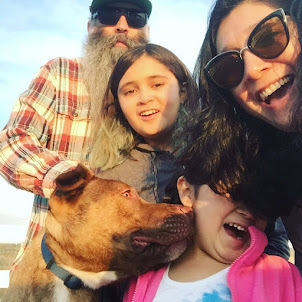 This week we looked at babies. Aww so cute. We looked at how babies animals grow and how they can sometimes look very different than their Mommas. I really wish we lived closer to my sister Elaine. She works at a Vet clinic and a visit would be great for Louie! Language Arts: We are in between books this week and since the next story is a mystery Phi's teacher gave her a really cool assignment. It was like a game of Clue! She was given a set of facts and using those facts she had to come up with "who done it". She choose to solve the case of the jewels missing from the Titanic. She has a really good time dissecting each characters and looking for opportunity and motives. In the end Phi determined that it was the underpaid assistant and the desperate for money maid that robbed Mr. Astor. Math: We continued with adding and subtracting fractions. I was glad we got another week to look at word problems using the butterfly method because Phi needs the practice. Once she gets into the swing of it it's not so tough. I did notice that after a 3 day break from math we came back to it and she could not tell me how to simplify a fraction. This let me know that she needs to be doing some kind of math every single day. As you can imagine she was "thrilled" with this conclusion. 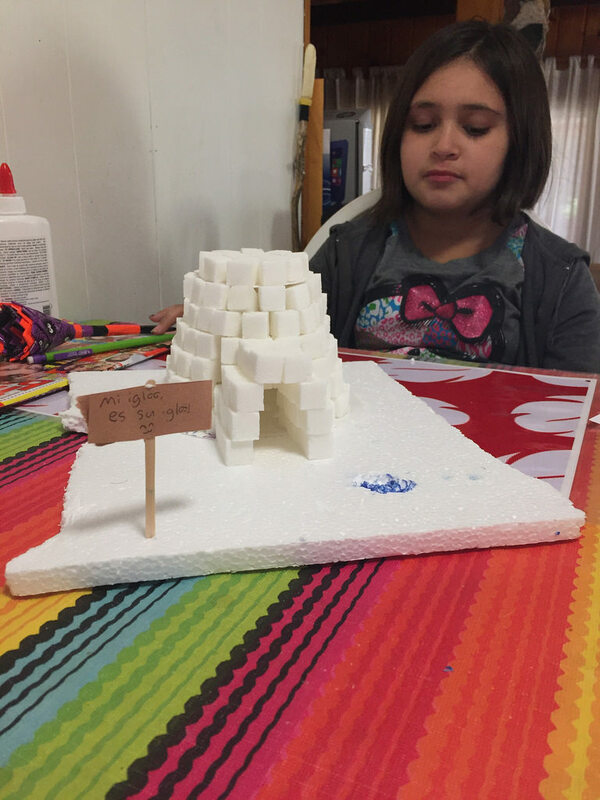 Social Studies: Phi studied the Arctic Native Americans this week. She choose to research the Inuit tribe. This was a nice change of pace from the other tribes we have been learning about. We got to look at how they hunt whales, the crazy amount of clothes they wear and how they built an igloo and why an igloo keeps you warm. Since this week was a bit lighter than usual I had Phi do one of the optional projects. She choose to build an igloo out of sugar cubes. Classic. Science: Onto the next human body system the digestive system. We read and did a few worksheets. Then we watched a great episode of The Magic School Bus. This episode really helped explain how it all worked. Phi took notes during the show and was able to explain to me how it worked. For her project she decided to show how stomach acid works. She put together this powtoons video of her project..
Week 14 is up next and with the holiday we should have 2 weeks to complete the assignments! I was really hoping for 2 weeks off.